This Tournament is organized in 2 locations. 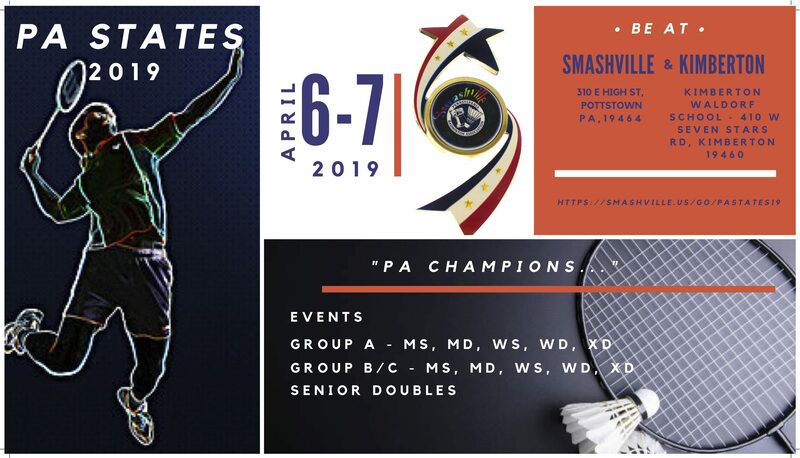 A level Category will be at Kimberton Waldorf School in Phoenixville and B/C, Seniors will be at Smashville Badminton Club in Pottstown. Please enter 1 in Mandatory facility fee box. Smashville and KBC members will get a refund on facility fee.